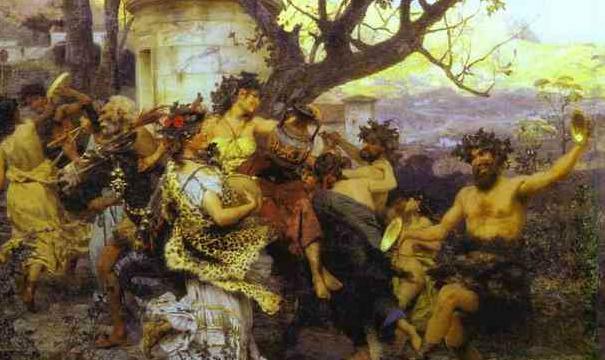 Holiday Bacchanalia & Collective Effervescence: The Social Significance of Partying — Anna Akbari, Ph.D.
Why We Celebrate Since ancient times and from the moment we’re born, our lives are marked by celebrations. These joyous occasions unify us around a particular moment, date, or event, and they ask us to pause and recognize an accomplishment or merely the passage of time. Celebrations foster community and build shared myths. They are an outlet for public exuberance and camaraderie, and despite other individual differences, celebrations bring us together for a common purpose. Holiday parties are exceptional moments outside of our everyday interactions. They are, as Emile Durkheim refers to them, moments of “collective effervescence,” which occur during these annual occasions when we gather as a “tribe.” We behave differently during these moments; they are sacred (no matter how raucous). Celebrations are times when emotions are heightened (in part because behavior and emotions are contagious, particularly in these concentrated, collective settings). We are bombarded with stimuli and arousal – which is precisely why parties are simultaneously so fun, and yet so exhausting. For women, dresses are fun, require little fuss, and are easiest to transition from day to night (depending on the dress and your office, of course). You can go traditional and stick to your little black dress (maybe even splurge on a leather shift that could be worn to every party you attend this season and can be toned down during the day with a soft sweater). 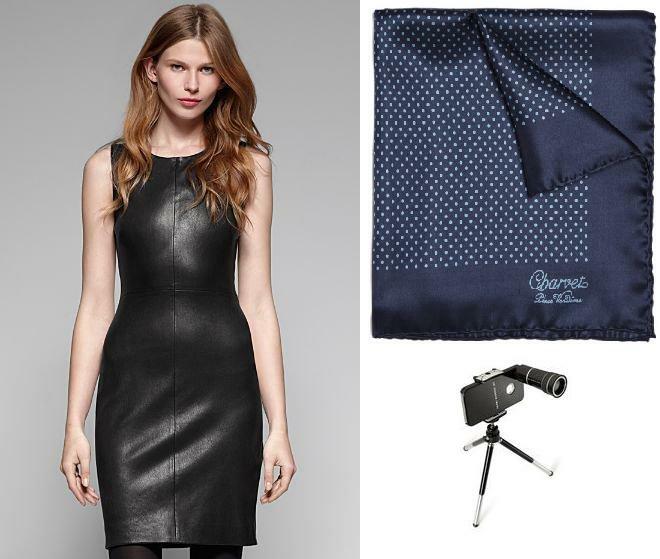 Personalize it with colorful, patterned hosiery and some accessories that sparkle. Men: What will your signature flair be this year? Maybe it’s a beautiful hat, or something subtle like a classy pocket square or patterned socks? Whatever it is, own it and use it to stand out at whatever celebrations you saunter into. Bring along some travel sized essentials, whether it’s hairspray or makeup. This way you can do minor touch ups and feel fresh without having to head home first. Don’t Show Up Empty Handed It’s customary to bring the host or hostess a gift when attending their party (and when in doubt, just ask yourself, “What would Emily do?”). Some wine or flowers are great, but maybe consider something more personal this year? Is the host a fan of bacon? Do they have a pooch they love to spoil? A new baby? Give a Subscription Gift! Choose a gift that will arrive throughout the year, so they won’t forget your kindness long after the holidays are over. The holidays are one big photo-opp. So, instead of picking up an ornament for the host (unless it’s truly the most beautiful ornament in the world), take that $50 and put it toward an iPhone zooming camera lens and tripod stand. Because why should the host be left out of the group photo? Some parties – like the notorious holiday office gatherings – will involve a Secret Santa exchange. I once worked at an office where one co-worker would simply place $20 in an envelope and hand it to whomever he was assigned in the gift exchange (we were instructed to spend around $20; I guess he took it literally). Please, don’t be that guy. Instead, follow these tips for being the perfect secret santa (feel free to distribute this list to your office in an effort to receive a better gift!). Eat, Drink, And Still Be Merry the Next Day This is the time of year when moderation is as rare as sunshine, and bingeing runs rampant. Three of the five most popular drinking days are within 6 weeks of each other, and you’re likely to consume 1-2 drinks per hour at holiday parties. One big reason you may get a painful hangover and experience post-party bloating is due to one sweet, seductive holiday staple: sugar. But don’t just reach for the artificial “diet” sweeteners found in food and beverages and think you get a free pass to Candy Land. A study found that “artificial sweeteners may disrupt the body’s natural ability to ‘count’ calories based on foods’ sweetness” – which may encourage overeating. These sweeteners are also up to 100 times more intense in sweetness than natural sugar, which merely enhances cravings. Follow these comprehensive rules that tell you everything you need to be putting in and doing with your body and mind to piece it back together. Take a power nap. In around 20 minutes of dozing, you can increase alertness, reduce stress, and improve cognitive functioning – until you undo all of it later that night. If you have a day of rest between events and are feeling brave, try the Lemon Juice Diet 24 hour mini detox. Did the sight of those words hurt your eyes? Simply can’t entertain moderation until January? That’s ok, we’ll tell you how to construct and stick to a post-holiday party detox plan when the time is right. But for now, bottoms up.